Researchers at the University of Virginia claim they have discovered a new target for triple-negative breast cancer, a notoriously aggressive and difficult-to-treat form of the disease. Triple-negative breast cancer is so-called because its cells test negative for oestrogen and progesterone receptors, as well as the HER2 gene, meaning that it will not respond to therapies which inhibit signals originating from these sources. Currently, the only treatment options for such cases are surgery, radiation therapy and chemotherapy, all of which are rarely permanent solutions and come with a raft of difficult side-effects. In addition, it is often highly variable between patients or even within a single patient. This form of the disease kills one-quarter of all breast cancer patients, despite only accounting for 10% of cases. Kevin Janes, an Associate Professor of Biomedical Engineering and corresponding author of a new study in collaboration with UVA Pathologist Kristen Atkins, explained: “We’re interested in the variability that’s characteristic of triple-negative breast cancer. We believe this variability gives clues to how the cancer arises, and clues to treatment possibilities that would exploit the way the tumours are regulated or misregulated as the cells communicate with each other. The study asserts that Growth Differentiation Factor 11 (GDF11), found to be inactivated in triple-negative breast cancer cells, could be used to reactive a tumour suppression protein. Instead of maturing into a bioactive tumour suppressor, it accumulates within cells in a ‘pre-active’ state. 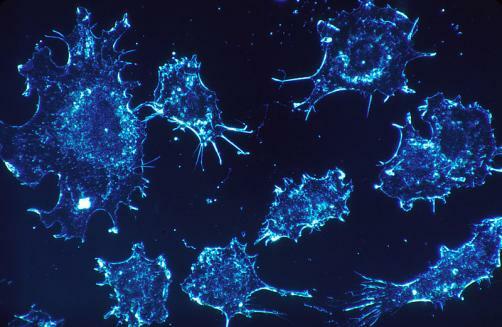 “Instead of trying to find and target hormones or genes that might promote growth of these tumour cells, as has been successful for other cancer types, we are focusing on a protein in triple-negative tumour cells that normally should inhibit abnormal cell growth, but has been disengaged,” Janes delineated. “This is an exciting realisation because we now can look for ways to remobilise the GDF11 precursor and reengage its normal tumour suppressive activity wherever triple-negative cancer cells reside in the body.